Draft: 2016, Cleveland Indians, 4th rd. Full name SHANE ROBERT BIEBER…Single...2013 graduate of Laguna Hills High School... Had an 8-4 record with a 1.40 ERA as a senior...Played in the 2013 Orange County All-Star Game in his senior year, was named Team MVP and made First Team All-League...Was a three-time scholar athlete...Pitched three seasons at UC Santa Barbara, going a combined 23-12 with a 2.73 ERA...In 2015, he was 8-4 with a 2.24 ERA, earning Second Team All-Big West Conference honors...In 2016, he went 12-4 with a 2.74 ERA and was named first team al-league...The 12 wins equaled the second most in school history....38 walks in 300.0 innings in college...Ace of UCSB's rotation that made its first trip to the College World Series in 2016...Started his team's first game of the Nashville Regional, the Louisville Super Regional and the CWS. Split the season between AA Akron, AAA Columbus and Cleveland, making 19 starts in the Majors in just his third professional season...Became the first Indians rookie to win 11 games since David Huff won 11 in 2009 and his 118 strikeouts were the most by an Indians rookie since Trevor Bauer in 2014 (143) and the third-highest singleseason total by an Indians rookie pitcher over the last 40 years (1978-), behind CC Sabathia (171 in 2001) and Bauer (10th-most in club history by a rookie). ‹He was second among American League rookie hurlers in strikeouts and wins….His strikeout-to-walk ratio of 5.13 was the top mark among MLB rookies and the best single-season ratio by an Indians rookie in club history…His 1.81 walks per 9.0 IP (23BB/114.2IP) was the lowest mark among Major League rookie pitchers, as well as the second-lowest single-season mark by an Indians rookie pitcher (min. 70.0IP), behind Tom Brennan (0.97 in 1982)…His 114.2 innings were fourth-most among A.L. rookies. From May 31-September 6, Bieber posted a streak of 16 starts with two-or-fewer walks allowed, marking the longest streak by an Indians starting pitcher to begin his career in the Baseball Reference Play Index era (1908-)…Went 7-0 with a 3.56 ERA in 11 road starts (26ER/65.2IP), the first Tribe hurler in the B-R Play Index era (since 1908) with seven wins and zero losses on the road…His start of September 11 at Tampa Bay (6.2IP, 3H, 3BB, career-high 11SO) marked just the third start of 6.0-or-more shutout innings, three-or-fewer hits allowed and 10-or-more strikeouts in the B-R Play Index era (1908-), alongside similar outings by Herb Score (July 30, 1955 at Baltimore) and Steve Dunning (July 17, 1970 at Kansas City). His 118 strikeouts are the third-most punchouts through an Indians pitcher's first 20 career games in the B-R Play Index era (1908-), behind Herb Score (149) and Danny Salazar (125)…Saved his best for last, working 6.0 shutout innings on Sept. 26 at CWS, allowing just two hits while fanning nine…Was just the third start in the Play Index era with 6.0IP shutout IP, two-or-fewer hits and least nine SO (Bauer 4/9-15 at HOU; Kluber 6/1/17 at OAK)...Among all A.L. pitchers in the second half, was sixth in the league in strikeouts per 9.0IP (9.6), seventh in walks per BB/9 (7th, 1.9), tied for seventh in wins and tied for eighth in SO (76 in 71.1IP). Fanned a then-career high nine Tigers hitters in the June 22 outing, becoming the first Indians pitcher since Luis Tiant in 1964 with six-or-more strikeouts in each of his first three career appearances...Earned his first career win in his second career start on June 17 vs. Minnesota (5.2IP, 11H, 1R/ER)…Made his Major League debut at Minnesota on May 31 (ND, 5.2IP, 8H, 4R/ER, 2HR, 1BB, 6K)…Became the first pitcher in Indians franchise history to make his Major League debut on his birthday. Began the year in AA Akron and was promoted to AAA Columbus on May 3…Combined between the two stops he was 6-1 with a 1.47 ERA in 13 starts (79.2IP, 56H, 13ER, 7BB, 77SO)…In his Minor League career has walked 19 batters in 277.0 IP (0.62BB/9IP)…At the time of his second recall on June 17 thru 12 starts, his 1.29 ERA was the fourth-lowest mark in the Minors…Tossed a 7-inning, rain-shortened no-hitter on May 25 at AAA Gwinnett (7.0IP, 0H, 0R, 0BB, 7SO)…His combined ERA of 1.29 was tops in the organization and fourth-lowest in all of Minor League Baseball. July 24, 2018 Cleveland Indians recalled RHP Shane Bieber from Columbus Clippers. July 14, 2018 Cleveland Indians optioned RHP Shane Bieber to Columbus Clippers. June 17, 2018 Cleveland Indians recalled Shane Bieber from Columbus Clippers. June 1, 2018 Cleveland Indians optioned RHP Shane Bieber to Columbus Clippers. May 31, 2018 Cleveland Indians selected the contract of Shane Bieber from Columbus Clippers. May 3, 2018 RHP Shane Bieber assigned to Columbus Clippers from Akron RubberDucks. July 24, 2017 RHP Shane Bieber assigned to Akron RubberDucks from Lynchburg Hillcats. May 5, 2017 RHP Shane Bieber assigned to Lynchburg Hillcats from Lake County Captains. April 3, 2017 RHP Shane Bieber assigned to Lake County Captains from Mahoning Valley Scrappers. July 11, 2016 RHP Shane Bieber assigned to Mahoning Valley Scrappers. 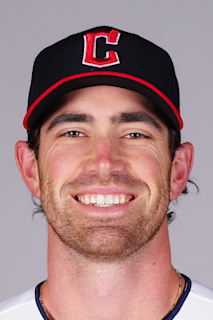 June 28, 2016 Cleveland Indians signed RHP Shane Bieber.